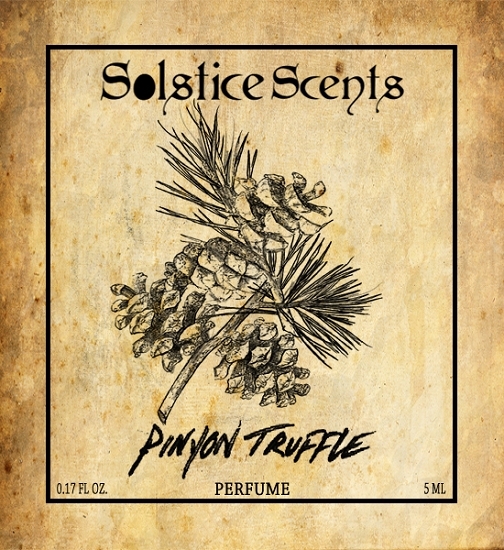 Pinyon pine has a somewhat fruity taste and scent that makes it uniquely suited to pair with gourmand notes of rich cocoa absolute and sweet vanilla and tonka. Pinyon Truffle opens with a bloom of pinyon and swiss stone pine notes with the chocolate just behind. The tonka and vanilla serve to soften the edges of the pine note. After the initial application where the pine is most apparent, the blend quickly settles into an earthy gourmand. 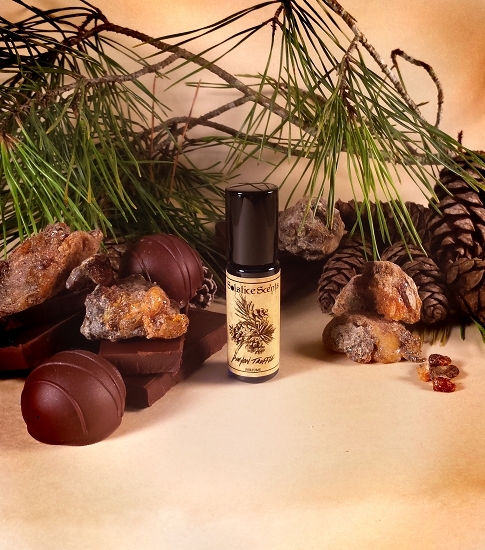 The concept was to present a perfume that featured cocoa in a gourmand capacity to showcase the pinyon note as edible, but to also portray cocoa in an earthy non-gourmand effect. This duality serves to create a mouthwatering yet grounding earthy scent that is unique and unusual. 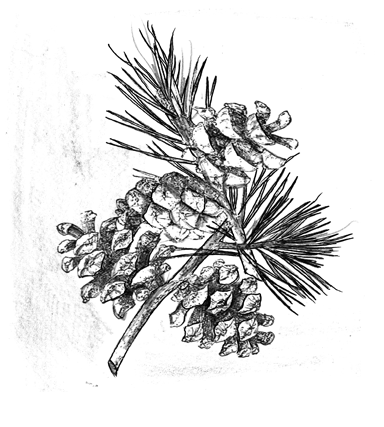 The dry down is not a typical pine scent. When combined with the sweeter elements and the fudgy chocolate, the pine shifts into a slightly spicy cardamom-like note with a touch of the fruity pinyon needles and just a trace of the recognizable pine fragrance. Shake gently before use. Natural botanical blend in organic cane sugar alcohol. Ingredients: Organic Cane Sugar Alcohol, Fragrance (This is a natural blend of essential oils, isolates and tinctures). The cocoa absolute used in this perfume contains trace amounts of food grade additives and therefore cannot be considered all natural. This blend contains no synthetic fragrance oils though.